Currently under construction, Park Row is a mixed-use project developed by L+M Development Partners and 23 Park Row Associates, an affiliate of J&R Electronics. 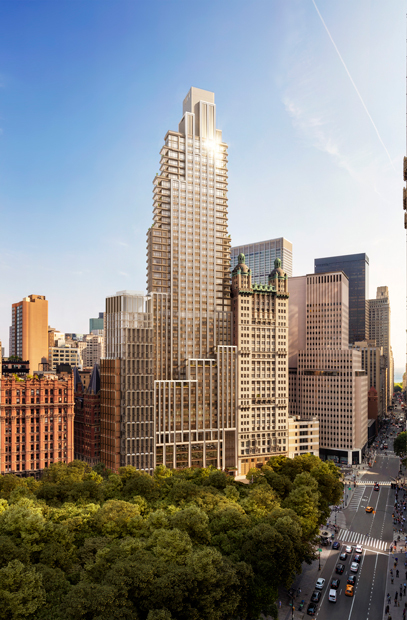 The project is located in Lower Manhattan across from Manhattan’s City Hall Park. The 49-story building will consist of 110 residential condominiums and approximately 67,000 SF of multi-level commercial space. COOKFOX architects created 25 Park Row as a modern interpretation of the surrounding landmark buildings.